CHARLOTTE, North Carolina. 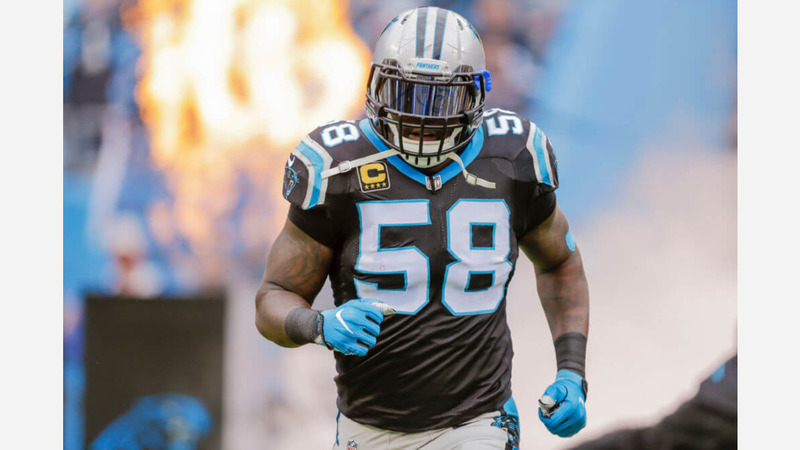 (WTVD) -- Carolina Panthers linebacker Thomas Davis will stay in Charlotte, at least for another year. The team announced Tuesday, Davis has signed a one-year contract extension, keeping him in Charlotte through the 2018 season. "I'm extremely excited. Everybody knows how I feel bout being a Carolina Panther," Davis said. "This extension solidifies me being her for the rest of my career, and I'm excited about that. Now it's totally focused on winning a Super Bowl." Davis was drafted by the Panthers with the 14th overall pick in the 2005 NFL Draft and is the franchise leader with 1,086 tackles. "Thomas is still playing fast and at a high-level, and the intensity and passion that he brings to the game is unmatched," linebacker coach Al Holcomb said. "He is the ultimate leader, and to continue to have a player and a man of his magnitude on our team is extremely important. I'm excited for Thomas, his family and our organization." Thomas Davis and the rest of the Carolina Panthers take on the Tennessee Titans in Nashville this Saturday at 3 p.m. on ABC 11.